Some people have very odd ideas about faith, so odd that here we need to clarify what, in fact, we are discussing when we talk about faith. Faith is not believing something you know is not true; neither is it believing something for which there is no evidence. That is simply foolishness. The Bible is a big book all about faith, and in it, we find a few facts about faith that will help us get the definition straight. If you stopped using this faculty of faith, you would never get out of bed in the morning or step outside. You might think the sky could fall down. In this world, a million cobra troubles are coiled to strike, but we carry on, usu­ally quite aloof from them and confident. The Bible says, “God has dealt to each one a measure of faith” (Romans 12:3). Christ said, “Only believe” (Mark 5:36), because we can. Getting married is the best illustration of faith I know of. Has any bride or bridegroom ever imagined the other was perfect? Yet they commit them­selves to each other for life, for better or worse. One bride refused to repeat the words, “I take thee for better or worse.” She said, “I only take him for worse. I know he’ll never be better.” She still went ahead, confident but not optimistic! There is no mystique about faith. Perhaps little children are the biggest believers. Many times I have lifted a child in my arms, but not once has the child screamed for fear of falling. Jesus Himself carried a child as an illus­trated sermon. He said the child carried a passport to the kingdom of God. Faith does not come by murdering common sense. It is not a peculiar psy­chology developed with great effort by saints in caves and living on bread and water. It is not peculiar at all. It is natural. Doubt is peculiar—irrational in fact. It is the only thing that ever surprised Jesus. The next thing we must understand is what it means to be holy, to be a saint. People often confuse faith and virtue. Virtue is developed. By con­trast, faith does not come in the same way that one learns the piano, grade by grade. People talk about “big believers” as if believing came in sizes, like suit jackets. But we can have faith even when we know we are not very good. Sinners can have faith; otherwise, they could never be saved. Nobody is good, but Christ taught us that all can believe. He commended some people for their faith, but they were foreigners, quite ignorant of doctrine. The Bible does the same. It has an honor roll listing heroes and heroines of faith. (See Hebrews 11.) They are remembered not for valor or kindness but for their complete reliance upon God. Faith is a perfectly ordinary thing that makes us outstanding in the eyes of God, since “without faith it is impos­sible to please [God]” (Hebrews 11:6). By faith it is possible to please God, and faith is possible for everybody. Another fact about faith is that we are what we believe. Thus, we need to monitor what we believe. We make the decision to believe, and what we believe, in turn, will define us. Some believe in UFOs, or that the earth is alive, or in voices from the dead; perhaps they just want to be different. In our lives, we are presented with millions of things we could believe in, but God is supreme. Above all else, He is the one worth believing in. Even in this modern world, surveys show that practically everybody believes in God—in some sort of God, somewhere. The question is, what sort? In this way, believing tests us. The kind of God we believe in is a window into our souls—for example, the difference between believing in Christ or Karl Marx. We are what we believe. 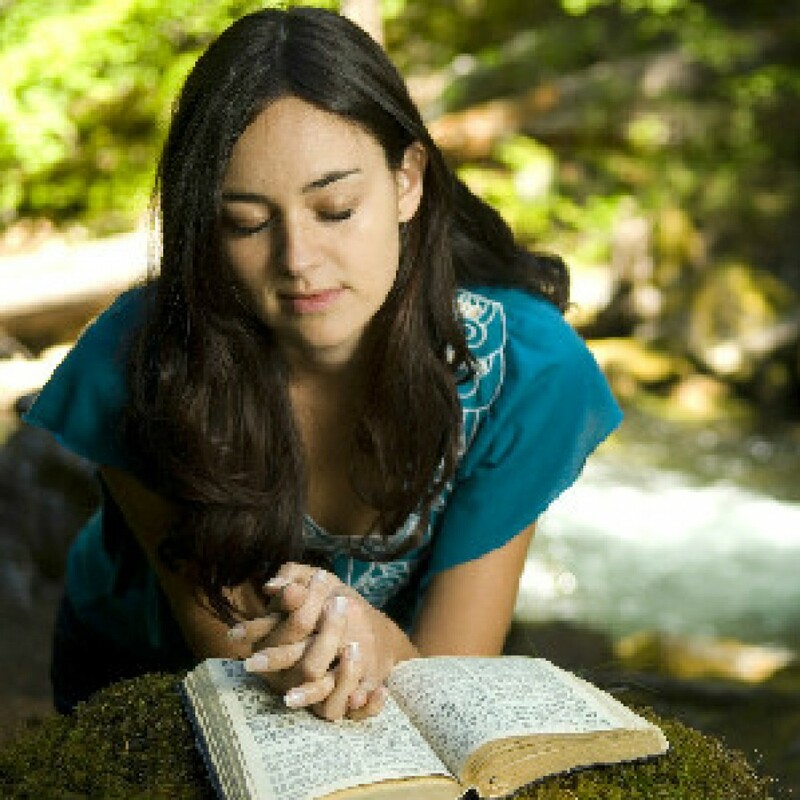 What does it say about us if we follow a faith that only demands a few prayers? Minimum-effort religions can be quite popular; they make small demands and gain a big following, cheap faith for lackadaisical people. Jesus Christ asks for everything: “Son, give Me your heart.” A broad religion is an easy road, but it gets narrower and goes nowhere. Faith in Christ is a narrow road that gets wider and leads somewhere. “The path of the just is like the shining sun, that shines ever brighter unto the perfect day” (Proverbs 4:18). 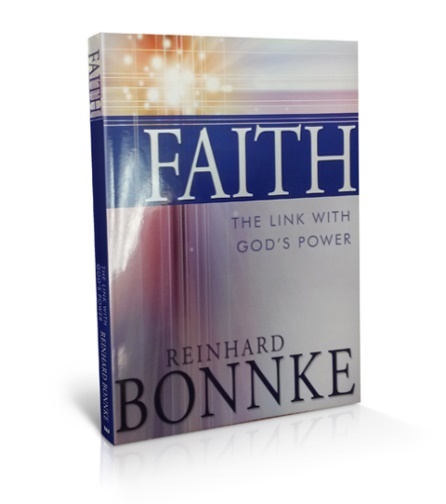 International Evangelist Reinhard Bonnke draws from his years of personal study and vibrant ministry to reveal that Faith itself is not the power, but it links us to the power source. It is not the size of our faith but the size of the God we believe in that determines the results. There is no link to God’s power without faith. This extract reproduced with kind permission of Cfan. Please support the ongoing mission of Cfan to save souls across the globe! This entry was posted on March 28, 2015 by biblecommentaries in bible, Bible study, Christian Interest, Christian resources, Evangelism, gospel, Holy Spirit, Jesus Christ, Reinhard Bonnke and tagged Christian books, new book by Reinhard Bonnke.